We can guide you in the right direction and assist you throughout the adoption process! Adoption Resources & Counseling, Inc. is growing! Stay tuned…. whether you adopt as a single person or a couple. Q: How do I find a welcoming agency? photos of two-mom or two-dad families, or client nondiscrimination statements. eligibility of LGBT individuals or couples to adopt or serve as foster parents. to provide the child with legal protection. Adopt, Be Adopted, or Place a Child for Adoption? particular challenges in the city, county, or State where you reside. LGBT family law attorney or LGBT advocacy organization before moving forward. There are often ways to resolve these difficult scenarios. agency, you could miss essential information or a preparation opportunity. for a successful placement for the child and the parents. Q: What should I expect from the home study or family assessment? thought in mind when preparing for your home study. better prepared to conduct your family assessment. worker and prepare the home environment for the arrival of a child. assessment, contact a supervisor or agency administrator. Q: What do I do if I think an agency is discriminating or being unfair? children you hope to adopt. the chain of command, and to be open to the possibility that you may be wrong. Q: How do I find support during the waiting process? group if one does not exist. Q: What do experienced LGBT parents have to offer as advice? community and some to the LGBT community, but there is a lot of common ground. your family and how you will answer challenging questions that may arise. on Children, Youth and Families, Administration for Children and Families, U.S.
mother who returned her child to Russia last year. in international adoptions and the rise in foster-care adoptions. fears of corruption, he writes. After peaking at 22,884 adoptions in 2004, U.S.
adoptions of children from other countries fell 44% to 12,753 in 2009.
excellent resource on foster-care adoptions. changes in adoption? 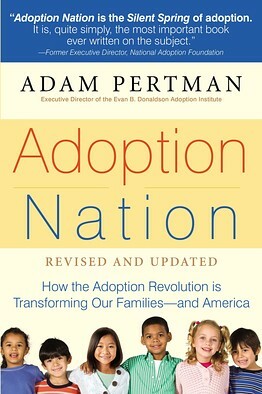 Do you know of any valuable resources on adoption issues? RAD is a common yet under diagnosed entity in internationally adopted children. Reactive Attachment Disorder (RAD) is the result of several interruptions that occur during the formative period of a child’s development. Their ability to “attach”, trust others and relate to primary caregivers is negatively affected. challenges throughout their lives. Because a child’s initial relationship is with his/her parents, it lays the framework for many of the relationships that will follow. Children with a secure attachment background tend to approach others in a positive manner. Since they feel valued by their own parents, they assume that others should be valued as well. attachment problems are quite severe and are truly a diagnosable disorder. According to the official diagnostic handbook of the American Psychiatric Association, the diagnosis refers to young children who have severely disturbed relationships with others resulting from the poor parenting they have received. Children with RAD may avoid forming personal relationships. These are known as the inhibited or unattached type. On the other hand, they may seem overly friendly to everyone, not distinguishing between parents and strangers. These are known as the uninhibited or indiscriminate type. In both cases, there is no real sense of trust. The children treat other people either as threats to be avoided or as targets to be manipulated. Not all children who are adopted internationally, the so called post-institutionalized children, are destined to have RAD. But the more emotionally and physically deprived they were, and the longer they remained in that environment, the greater their risk becomes. their environment and the people in it. A prospective adoptive parent should find out everything possible about the infant’s background as well as that of the biological parents. Inherited temperament or mental health conditions can also affect the child’s ability to recover from early influences. of determination on the part of you and your child, the situation can be improved. By: George Rogu M.D. Lactose intolerance is defined as the body’s inability to digest and absorb the milk sugar called lactose. This occurs secondary to a deficiency in a necessary enzyme essential in the digestion process of milk products. This enzyme is named lactase. In many children who are internationally adopted this medical entity is incorrectly blamed for many intestinal symptoms these children experience. Lactose intolerance is more prevalent among adult Asian, African, Native American and Mediterranean populations. Although many internationally adopted children come from the above-mentioned ethnic groups, this condition is relatively rare in infants and very young children. It does occur however under pathological conditions such as when a child has some sort of intestinal infection. In infants and very young children, the enzyme lactase remains active during the first few years in order to enable these children to absorb and digest breast milk or formula. Clinical signs and symptoms Abdominal pain and cramps Abdominal distention Nausea and vomiting Diarrhea and flatulence Lactose intolerance sometimes may occur as a temporary condition if it is secondary to an intestinal infection. Secondary lactose intolerance usually occurs because there is some damage to the mucus lining of the intestinal tract. Reasons for this could be secondary to an intestinal infection with parasites, viruses or bacteria. Internationally adopted children, especially those of Asian descent, should have lactose intolerance high on the differential diagnosis radar, but other medical conditions need to be ruled out. Such medical causes are as follows: Parasitic intestinal infections with Giardia or cryptosporidium Viral gastroenteritis, with the routine stomach virus caused by Rotavirus Bacterial enteritis: salmonella and shigellosis Severe protein malnutrition Celiac disease Cystic fibrosis Toddler’s diarrhea secondary to excessive juice intake A very good dietary history needs to be obtained and appropriate medical examination and laboratory tests need to be ordered before a diagnosis is made or excluded. General clinical suspicion of lactose intolerance can be confirmed by a favorable response to withdrawal of lactose from the diet. There is also more sophisticated laboratory testing such as hydrogen breath test that can help in confirming the diagnosis. Intestinal biopsies and lactose tolerance tests are rarely indicated in the Pediatric population. Overall management of lactose intolerance is very simple: avoid milk products. Exclusion of milk from the diet should also be done even if the condition is a temporary one such a secondary to intestinal infections with Giardia. If the child is an infant, than Lacto-free formula should be prescribed. Older children may self-treat themselves by selectively eating foods that they can tolerate. All newly arrived children who complain of intestinal symptoms should have a work-up for intestinal, viral, and bacterial organisms before the diagnosis of lactose intolerance can be used to explain their symptoms. This is especially important if the child comes from an ethnic background where lactose intolerance in more prevalent in the adult population. by George Rogu M.D. Disclaimer The information and advice provided is intended to be general information, NOT as advice on how to deal with a particular child’s situation and or problem. If your child has a specific problem you need to ask your pediatrician about it – only after a careful history and physical exam can a medical diagnosis and/or treatment plan be made. This Web site does not constitute a physician-patient relationship. Article Source: http://www.adoptiondoctors.com/articles Adoptiondoctors.com is an innovative International Adoption Private Practice dedicated to helping parents and adoption agencies with the complex pre-adoption medical issues of internationally adopted children. We are the GO TO place for your Adoption related medical questions. All medical interactions are performed via, e-mail, express mail, telephone and fax. There is no need to make a live appointment or travel outside of you hometown. Blind referral and support services now available during your trip. Never feel like you are abandoned while you are overseas. Adoptiondoctors.com is just a computer click away. Post-Adoption general care can be performed by our International Adoption Medicine Physicians, Dr. George Rogu or Dr. James Reilly in their Adoption friendly, Private Medical Clinic in Commack, New York. For more info: visit Adoptiondoctors.com or call them at 631-499-4114. From the International Adoption Clinics at the University of Minnesota, Minneapolis, MN and Tufts New England Medical Center, Boston, MA and the office of Dr. Michael Traister, New York, NY. Over a 36 month period, information was collected via direct examination (49%) or through a mail-in questionnaire (51%) from 154 Chinese children. Most (98%) were girls. Children arrived in at an average age of 10 months and had been living in orphanages for an average of 9 months. Infectious diseases commonly encountered in international adoptees were rare. Of those children tested, hepatitis B and intestinal parasites were encountered in less than 5% of adoptees. Syphilis and tuberculosis were diagnosed in less than 2%. No child was positive for the AIDS virus. An unexplained cluster of hepatitis C infected infants in Yangzhou was confirmed. Blood lead levels were normal in 90% of children tested (n=31) and only mildly elevated in the remainder. Assessment of 19 infants in six areas revealed abnormalities in one or more areas of development in two-thirds of children. Strength and gross motor skills were affected most commonly while tone was rarely abnormal. Delays usually improved rapidly after arrival. Stature was affected with children falling behind one month of linear growth for each 3.4 months in the orphanage. Rickets, a diagnosis made frequently in China was not clinically obvious in any child, but biochemical markers indicating early rickets were more likely to be found as children grew older. Chinese adoptees have few major medical problems on arrival principally due to their young age and limited exposure to orphanage life. Older Chinese orphans show more sequlae of orphanage life. Written by Michael Traister, M.D. Medically caring for children adopted from countries outside of the United States may pose some unique problems for the pediatrician. Family history, birrth history, early growth and development records are either non-existent or unreliable. Medical problems that be common to that country may not exist here or be relatively uncommon in the community or experience of the pediatrician. In my practice (390 West End Avenue, New York City), I have had the opportunity to examine upon their arrival and then to follow 10 infants adopted from the People’s Republic of China in the last two years. I am pleased to report that these children as a group are all seemingly remarkably healthy. They have not suffered the ill-effects of severe psycho-social deprivation and chronic medical diseases seen in some institutionalized orphan populations, for example, from Eastern Europe. Although some of the older infants arrived with slight delays in development, all of them progressed rapidly and most of the recent arrivals have already caught up to other infants their age. Most medical problems seen are common problems, seen in many children born and brought up in New York City. For example, none of the infants that I have examined are chronic carriers of Hepatitis B which might have been transmitted from birth mother to infants attthe time of delivery. Of the infants tested to date, none have tested positive for exposure to Tuberculosis. Some had had the BCG vaccination, a vaccine against TB used in many parts of the world including China, and have not yet been tested for TB because the vaccine could produce false positive results. I have not requested stool examinations for parasites on the infants; parasites are usually not acquired until after 6 to 12 months of age and most of the infants adopted are less than 12 months old at the time of adoption. I recently spoke with Dr. Dana Johnson, of the University of Minnesota’s International Adoption Clinic. He has been conducting a research study to evaluate children adopted from Eastern Europe and the People’s Republic of China, paying particular attention to the types of diseases that exist in that part of the world. At the time of our discussion, Dr. Johnson had included about 20 infants adopted from China is his study and reports results similar to mine: The infants adopted from China so far seem healthy, without the problems of severe psycho-social deprivation, tuberculosis, hepatitis B, parasites, etc. which have been seen in some of the chidren adopted internationally, especially from Romania. With the permission of our parents I plan to forward our data to Dr. Johnson to be included in their study. To find out more information about the Univeristy of Minnesota’s International Adoption Clinic or to participate in their study, please contact Ms. Sandy Iverson at 612-626-6777. By Karen Henry Clark, author of Sweet Moon Baby: An Adoption TaleWhen the nanny handed our daughter to us on a summer day in China, I remained calm. The journey was finally finished. Little did I know it was just beginning. I smiled brightly until my husband handed me the orphanage report and my eyes froze on these words: “Baby found forsaking on steps of leather factory.” Tears rolled down my face as I realized this tiny girl in his lap would always live with a mystery. While I’d known this, I’d never felt its truth. She would carry unreachable memories locked forever in her mind, her bones, her heart. So I began to dream of a history for her—something beyond the confines of that basket balanced on a step. She was eleven months old and…spoke Chinese baby talk, slowly moving into recognizable English sounds. However, she refused to repeat the words we recited to her. She turned her face away stubbornly. Then one night in our yard a cloud drifted away from a full moon hung in a navy blue sky. Leaning out of my arms, she pointed up and said, “Moon!” with a sense of certainty and joy that made me believe they had been dear friends from the very first day of her life. What else could have made such an impression on her? What inspired her toddler games of make-believe? Clearly she loved the stories about a young turtle named Franklin. She told everyone about the peacocks she’d once seen on a farm. She played faithfully with a sock monkey stitched with love by her grandmother. Each night of her life she slept with a stuffed panda in her arms. And like an Asian Huckleberry Finn, she happily carried a miniature pole over her shoulder with a plastic fish affixed. Who’s to say a turtle, peacock, monkey, panda, and fish weren’t part of her early life? That basket on a step in China became the basket that carried a baby down a river from claw to paw to wing. These became the snippets of tales I told her, trying to fill those first days of her life. I wrote it down. Once upon a time, I had imagined myself as a published author, but decades of rejection had eroded my resolve. Until now. I had to show her the importance of trying one more time. This one was the charm. My first picture book was published by Alfred A. Knopf in 2010. What began as an answer for her ended up being an answer for me. After I read the book at a school, I received my most stunning review of all when an adopted Chinese kindergarten girl whispered to my husband, “I’m the real Sweet Moon Baby.” I understood it held powerful imaginary answers for children other than mine who are on this remarkable adoption journey together. The first and the most important key to raising a child with adhd is to be patient. Be at his/her level. He is not a typical child and will required greater amounts of focus and attention on your part. Please don’t forget this important fact. He lacks certain abilities that you may expect in others. You are aware of this fact and will need to giving him love, care and attention. Without this approach, things will quickly go downhill. Still if you scold him, taunt him, confront or spank him, the symptoms of ADHD usually become more profound rather than improving. At this point parents dealing with adhd become part of the problem, not the solution. Don’t be someone who can drain the life out of your child. Be a friend to him. Make him feel comfortable; make him feel that the world is secure all around him. Be open to him, be responsive. Let him tell you all his concerns and worries; let him share his so called secrets. Be with him. Give him your maximum attention. It’s usually the mother whom the child wants to see as the first thing in morning. Wake him up yourself, greet him and speak to him respectfully. If going to school, help him prepare and try to drop him off at school and pick him up yourself. Make his lunch for him. For children who are struggling in school, you may want to consider ADHD homeschooling. Many families have been able to overcome the problems associated with ADHD through homeschooling. Give him time in afterschool hours. Read him a bedtime story at night. Give him your maximum time. These things may sound like you are overdoing it, but these are the very things the help lower the childs anxiety level and build a bond between the parent and child. The rewards will be hugh as your child gets older, which will happen much sooner than you expect. Younger children with ADHD usually have disturbed sleep or insomnia. They are often prone to have nightmares. You have to check in on him from time to time and provide comfort when needed. An ADHD child desires to see his mother or father around him frequently. Make sure you give enough time and attention, while he is having his meal, doing his homework and involved in his activities. Even when watching cartoons or any TV programs, accompany him so that you can help point out the good and educational progrms. A proper diet is also critical for children with ADHD. In addition to this, one of the most effective ways to reduce the out of control behavior that is often associated with with this disorder is by developing new parenting skills. These children are often masters at manipulation and other forms of controlling behavior. Many parents have found that using new methods of building healthy relationships without relenquishing control of the home to the child can quickly bring about a turnaround in a child’s behavior. This type of firm and loving parenting was often not modeled for us, so a program that teaches these skills is helpful. We at ADHD Child Parenting.com have found that the Total Transformation program teaches some of the most effective parenting skills available. Many who have used this program have seen extemely quick changes in their child’s behavior. I encourage you to visit the Total Transformation Website to learn more about how your family can benefit from this program.